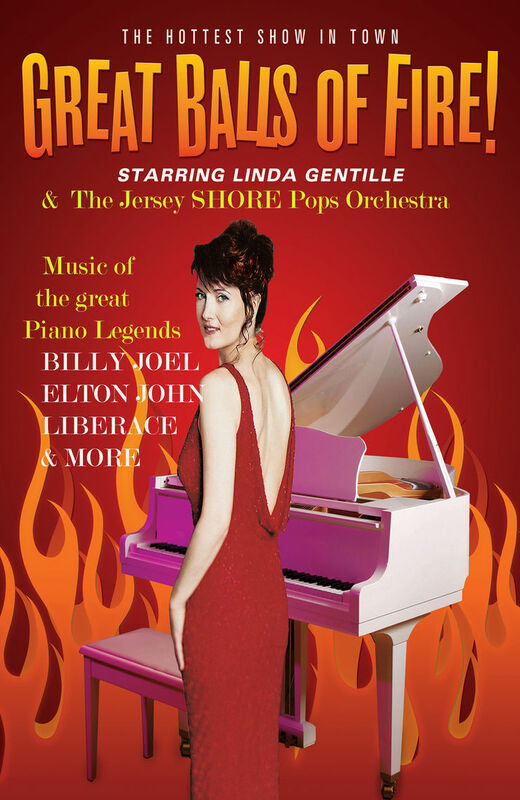 Cape May Convention Hall will present GREAT BALLS OF FIRE "Legends of Piano" starring “The Female Liberace” Linda Gentille on Friday, August 16 at 8:00 PM. This spectacular Broadway show will feature the music from the great piano legends of the last 50 years including Billy Joel, Elton John, Duke Ellington, Liberace and Barry Manilow. Pianist, entertainer and conductor Linda Gentille, is one of South Jerseys most popular entertainers. For tickets visit CapeMayCity.com or call 609-884-9565.